"Dragons 2, The Metal Ages" is the sequel to the first animated adventure film "Dragons - Fire and Ice" both based on the Mega Bloks toyline. The feature length DVDs were developed and produced at Bardel Entertainment Inc. where I held the position of Senior Art Director. Both projects were a lot of fun to make and a challenge to create - the sequel "Metal Ages" was awarded and ELAN (Electronic Arts and Animation) for Best Art Direction and Production design. 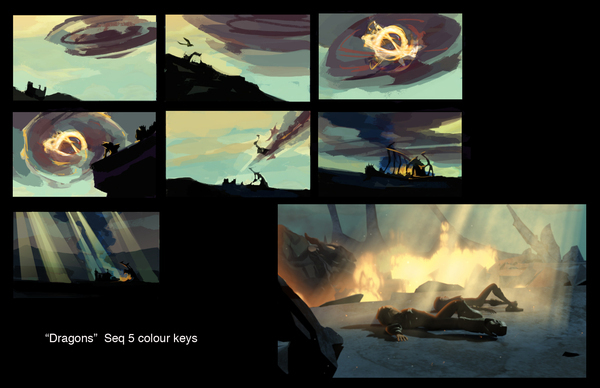 This is some of my Location Design, Production design and Art Direction.